HomeBlogHome DecorQuattro LED Task Lamp by Robert Sonneman. 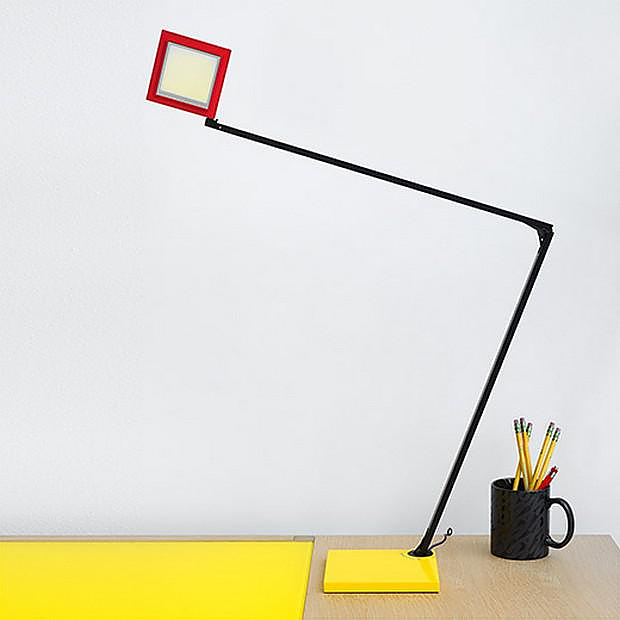 The Quattro Task Lamp is a revolutionary LED desk lamp by Robert Sonneman, characterized by precisely poised perfection of mechanical innovation and pure geometry. 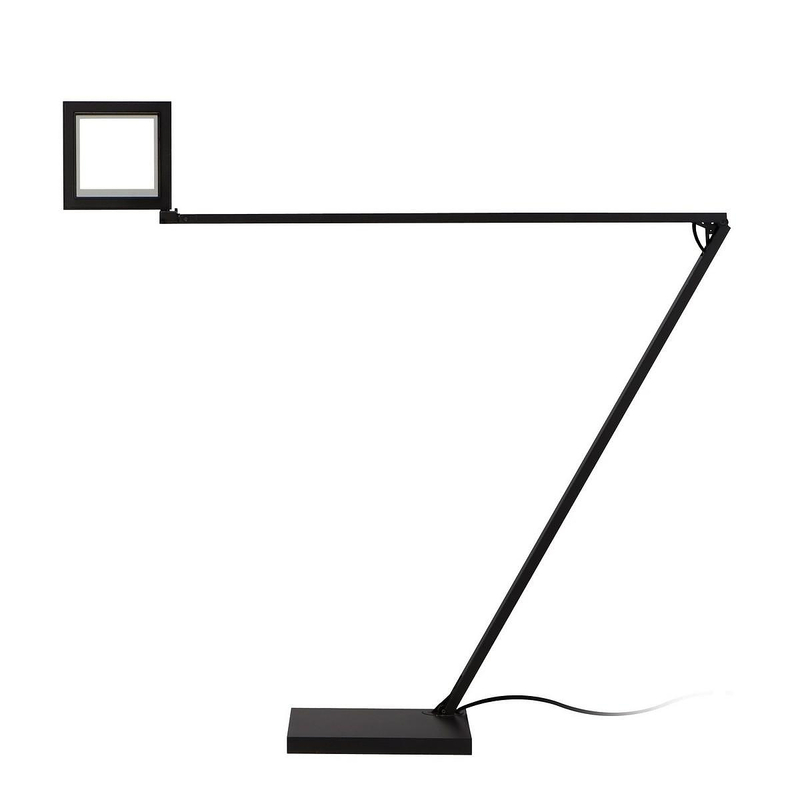 A key feature of the lamp is the revolutionary LED Flat Panel Technology allowing it to produce a 25% brighter, glare-free light using 25% less power than other LED task lamps. 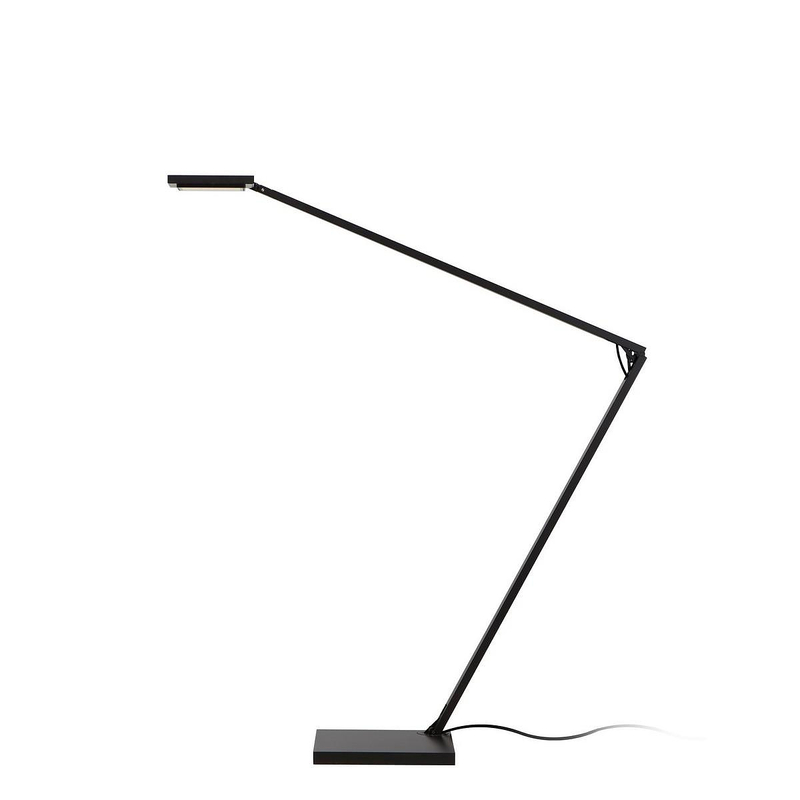 The perfect minimalist lamp for a modern desk or nightstand. 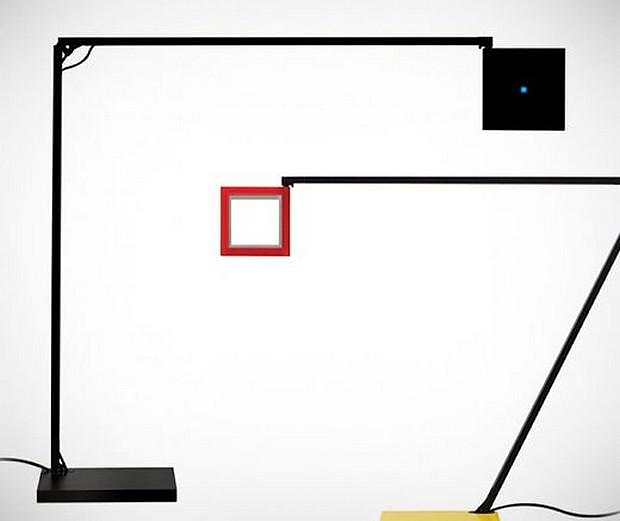 The Quattro LED Task Lamp receive a Red Dot Design Award Honorable Mention in 2014. Design becomes art when a product’s functional attributes are superbly embodied in the exquisite refinement of its form. Sonneman found a muse in the Dutch De Stijl art and design movement, prominent in the world of arts from 1917 to 1928. 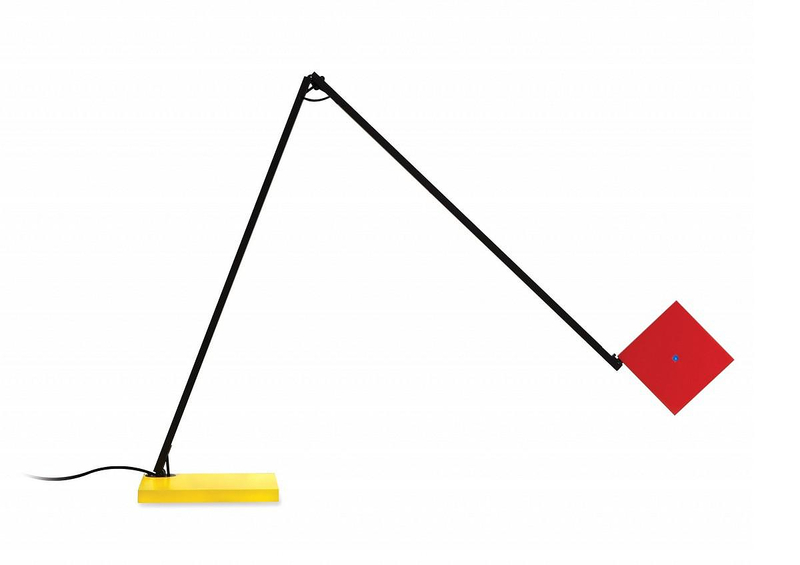 In addition to Quattro’s™ functional precision, and innovative technology, its geometric simplicity and color options recalls this iconic art movement. 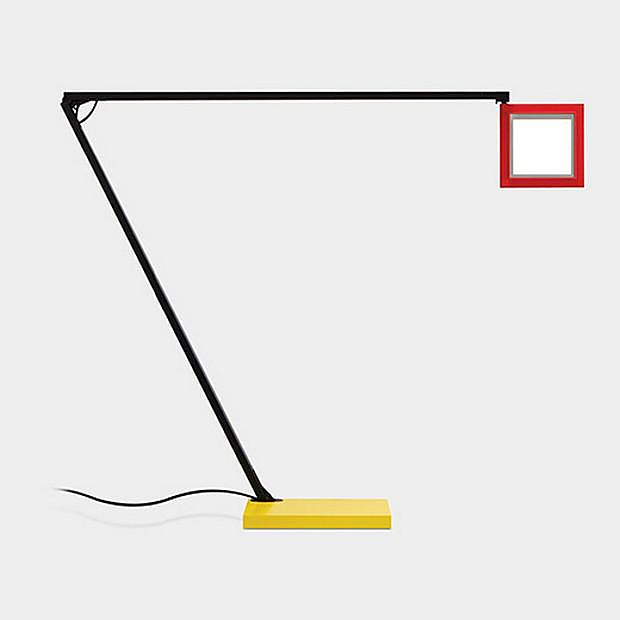 “The offset squares and rectangles of Quattro’s head, arm, and base immediately called to mind Gerrit Rietveld’s 1917 black painted chair which glorified the pure rectilinear forms with edges painted in primary red and yellow,” Sonneman says. 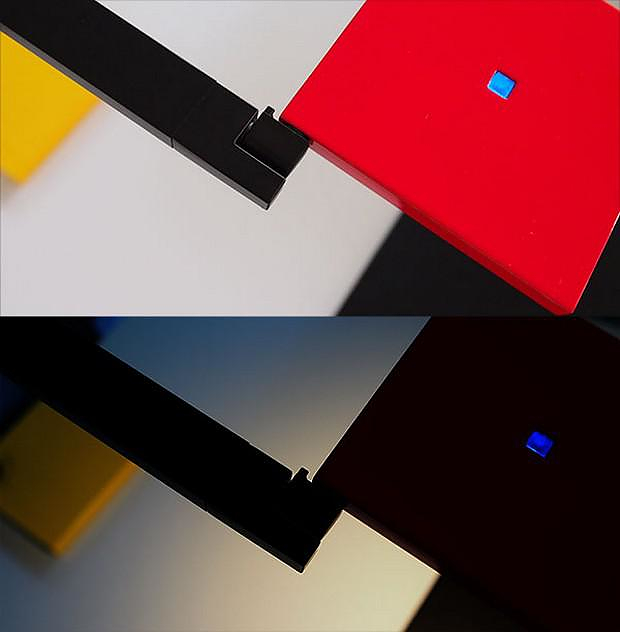 “The approach typified the Dutch De Stijl movement in the three dimensional architecture and in the two dimensional art of Piet Mondrian, as Quattro’s™ brightly colored rectilinear forms recall the red, yellow, black, and blue of Piet Mondrian” It is also available in black, white, and aluminum finishes. Glare-Free LED Flat Panel Technology. There is a lot to love about LED lamps, after all they offer tremendously long life and incredibly low energy consumption. Yet they suffer from excessive glare and many and due to the multiple light sources they use, they also exhibit “dark spots” and not uniform illumination. Robert Sonneman had those deficiencies in mind when he designed Quattro and decided to solve them in his design. 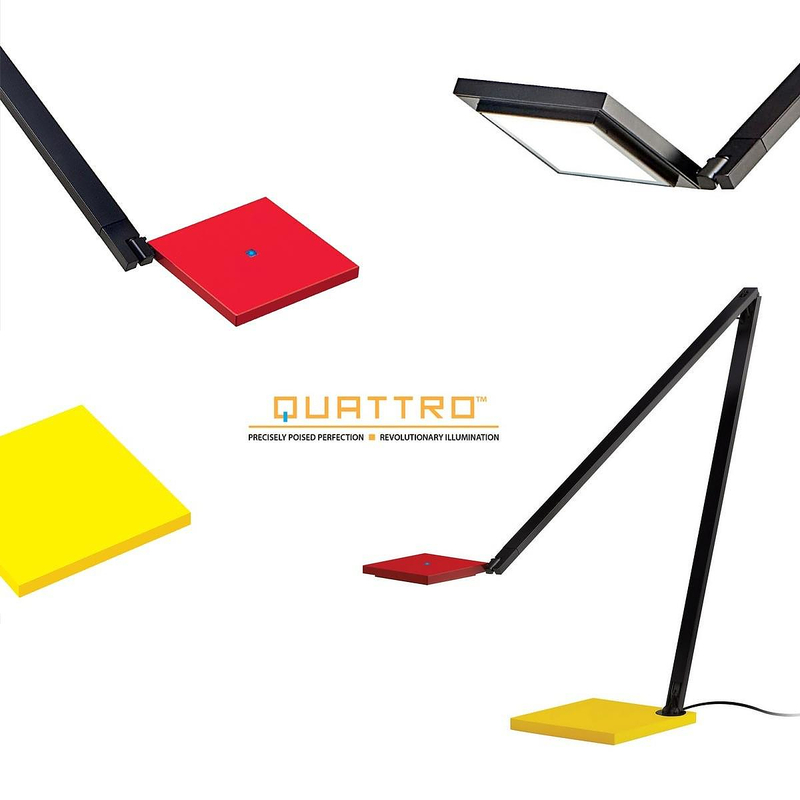 The Quattro LED Task Lamp produces ultra-bright, glare-free illumination using a revolutionary LED Flat Panel technology. The flat panel eliminates the hot spots and multiple shadows that most LED lamps produce from multiple point sources of light, each of which creates a separate shadow. A uniform light source is generated by projecting Nichia LED illumination across a large surface of advanced optical films that focus and direct the light toward its objective, reducing sidelight that causes glare. The result is an evenly illuminated panel, more light on what you want to see and less unwanted light in your eyes. 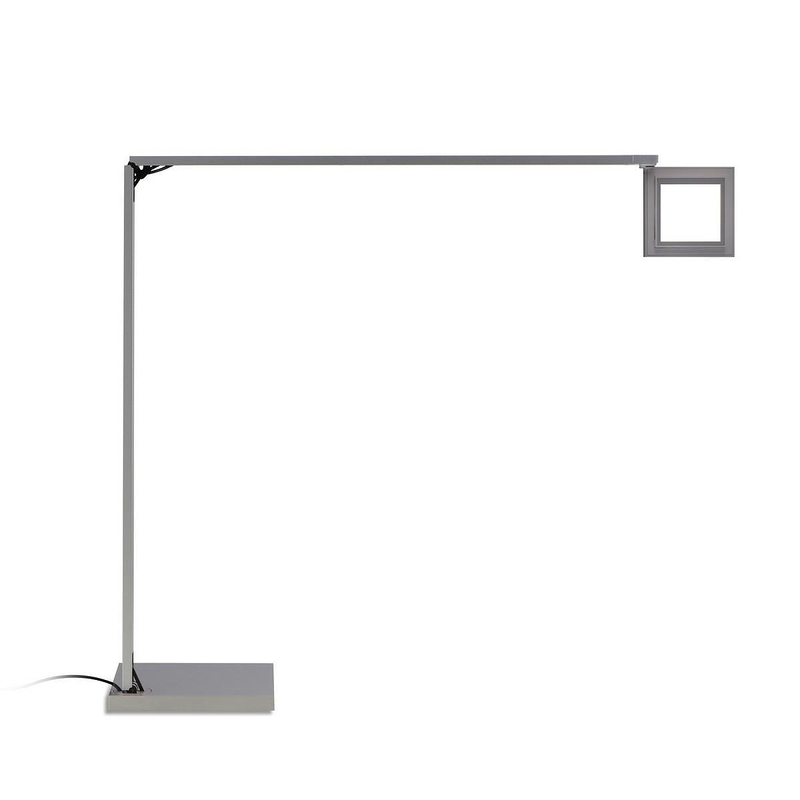 Another advantage of lamps with LED Flat Panel Technology is better energy efficiency and increased luminosity. 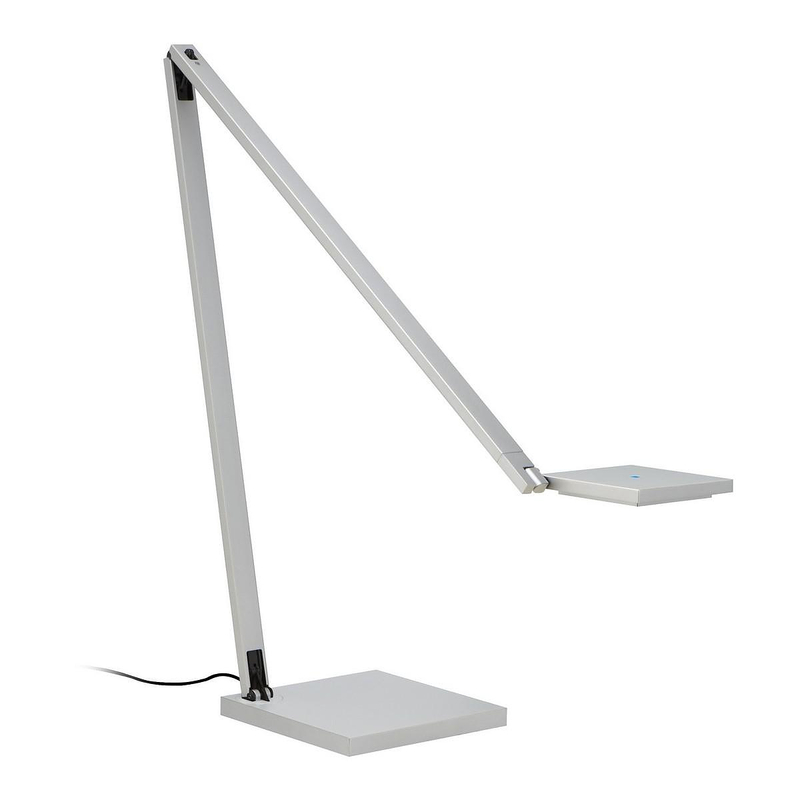 The Quattro LED Task Lamp produces 25% more brightness, glare-free, from 25% less power than conventional LED task lamps. It is still rare to see an LED light that dims, but it is even rarer to see one that dims properly. 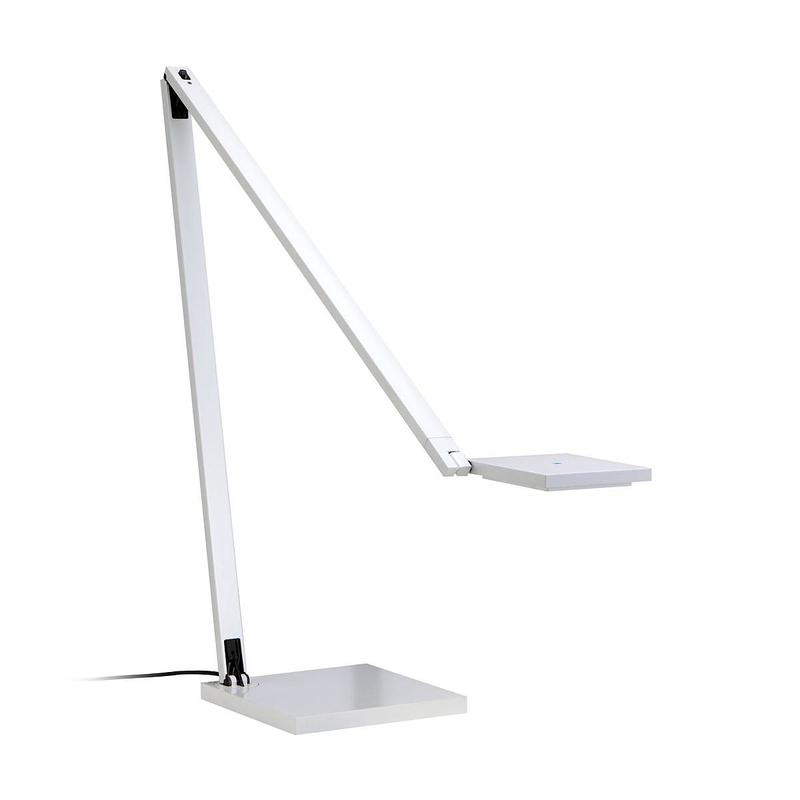 The Quattro Task Lamp is engineered to maximize the comfort of the user and the usefulness of each dimming level. Controlled from a touchless optical sensor, Quattro’s™ dimming levels have been set at High/100%, Mid/60%, Low/20%. The consistent 40% drop at each level maximizes the comfort and the usefulness of each level. 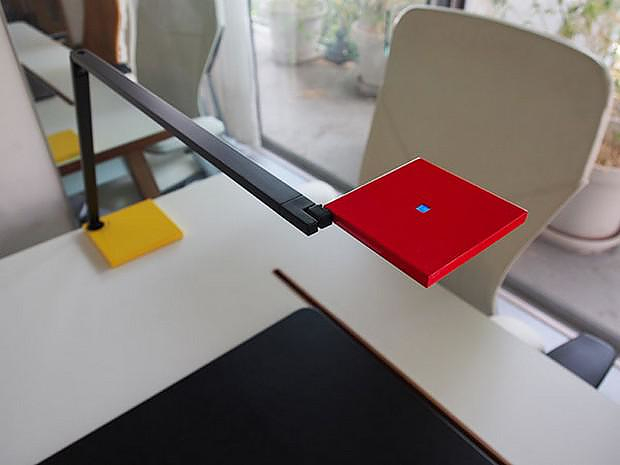 Its three brightness levels are controlled from a touchless optical sensor atop its low-profile head. Movement + Rotation = Flexibility. 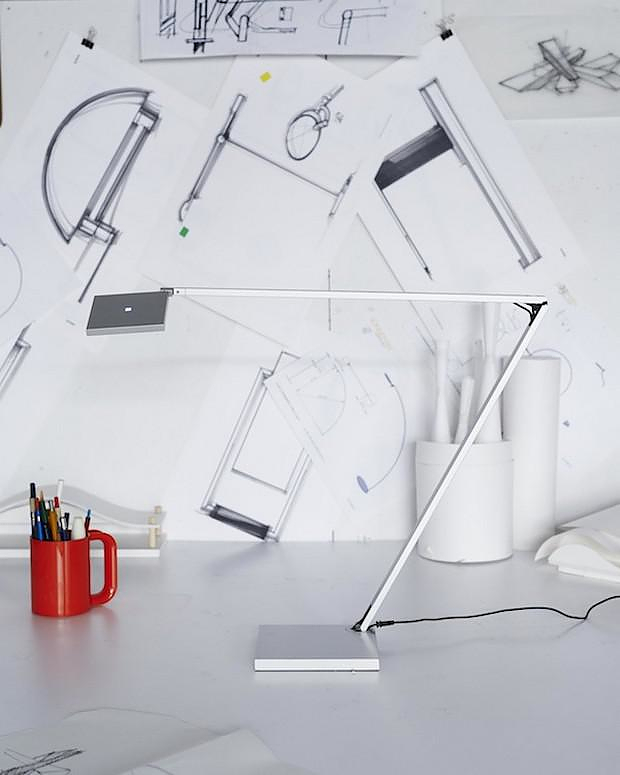 The Quattro Task Lamp features internal compression and tension mechanics that allow you to position its arms and head in a surprising number of positions. 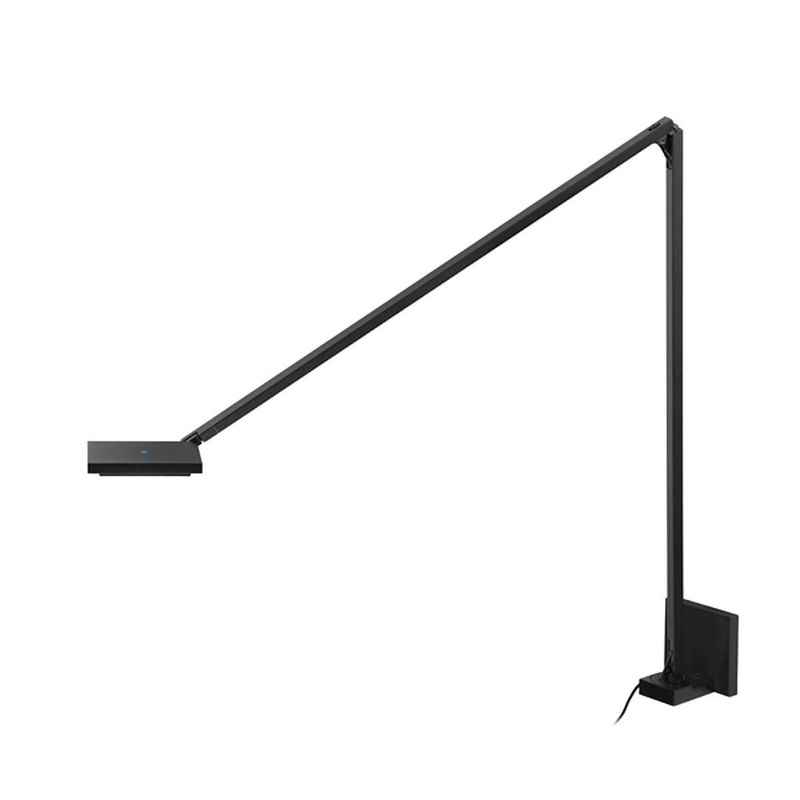 Quattro’s perfectly square base supports an ingeniously articulated rectangular arm that moves through an extensive range of elevation, free from external supporting springs or exposed components. It poises where desired through its patented internal compression and tension mechanics, ICTM™. 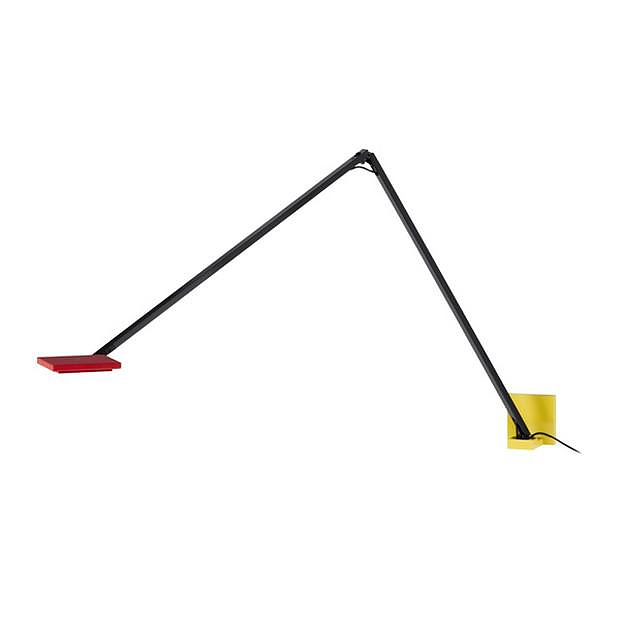 In addition, the arm rotates 90 degrees on a pivot, inset perfectly flush at a corner of the base. 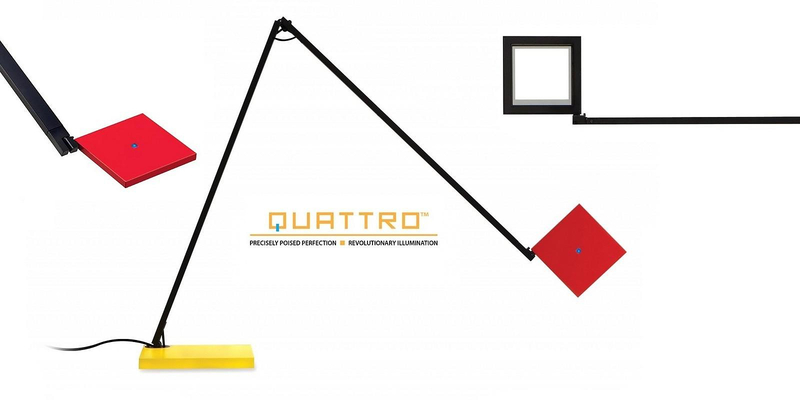 Quattro’s™ amazingly thin, precisely square head rotates and adjusts on two axes. Exquisite in its geometric simplicity and in the refined precision of its functional elements, Quattro™ sets a new standard, bringing superior technology to design excellence. 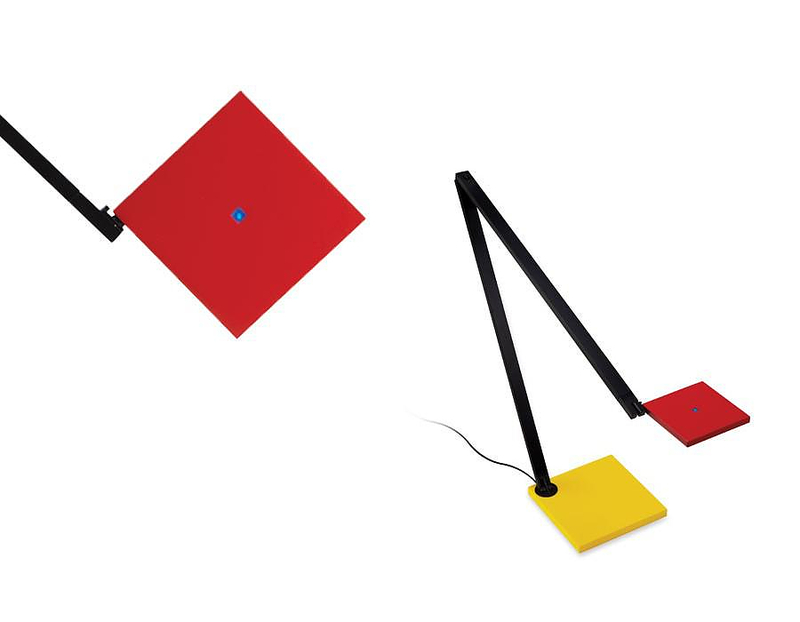 “The functionality of being able to poise and direct light where you want is a better solution than requiring the user to bend or contort to find adequate illumination from a fixed position,” Robert Sonneman explains. 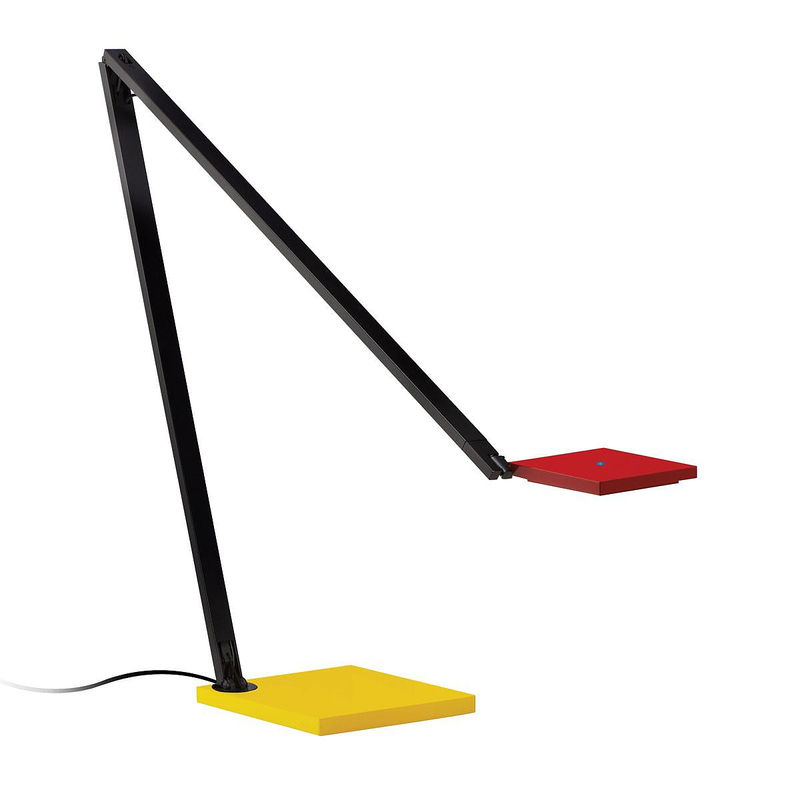 About the Designer: Sonneman Lighting. 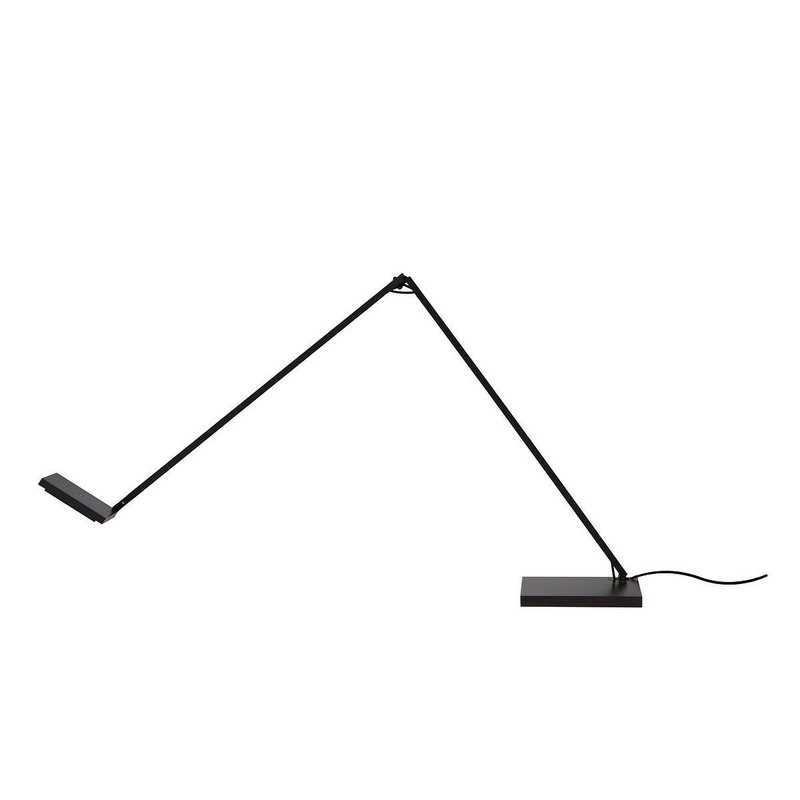 Decades ago, Sonneman was introduced to the European minimal modern perspective, from Bauhaus industrialism to Danish modern forms. He then began designing and building a line of lamps based on the sensibilities he had developed and subsequently founded his own factory. Over the years, many Sonneman designs have become classics of the modern era. Sonneman’s passion for contemporary design extends to many other categories of the home as he continues to create innovative solutions for the way we live. As a working designer, Sonneman divides his time between Milan, Tokyo, and his New York home. He continues to work every day to push the boundaries of design and innovation.